I was not wowed by this dish but I think it has potential. The instructions tell you to slice the zucchini as thinly as possible but you will realize that how thin you slice them will (duh) influence the number of slices you end up with. 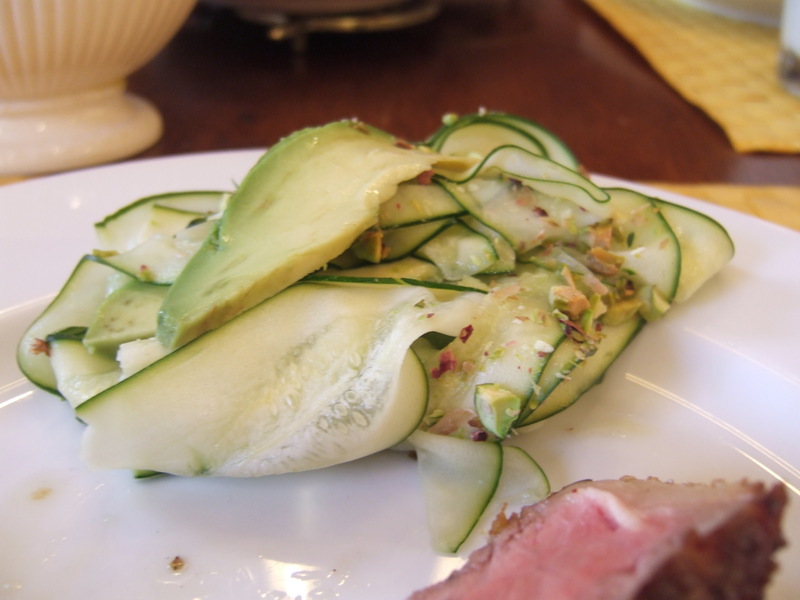 I had it in my head that this would be alternating layers of avocado and zucchini but I sliced my zucchini so thin that I had about 5 times as many zucchini slices as avocado slices. Next time I will slice them a bit thicker. The finished product also did not deliver much flavor and I think that can easily be addressed with more salt (which fixes a surprising number of things) and possibly more of the marinade. I do intend to keep playing with this one as I love the concept and all of the components. Won’t this be a great summer side dish? 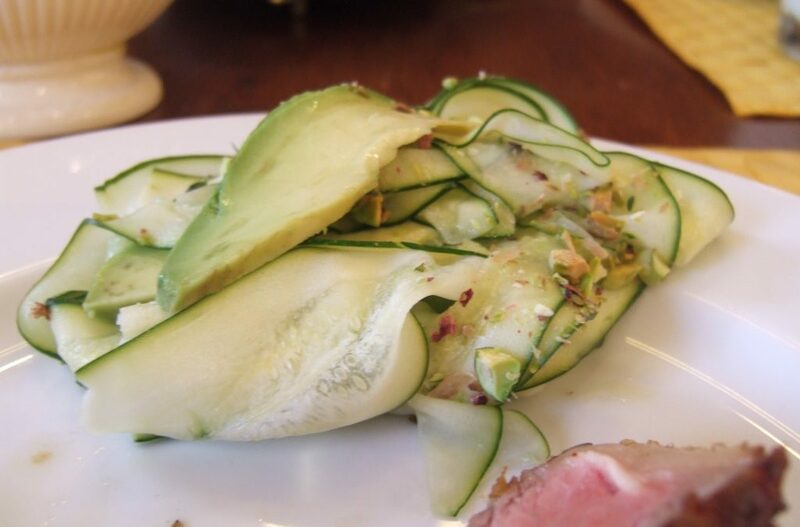 Zucchini Carpaccio is on page of The Essential New York Times Cookbook and here online.